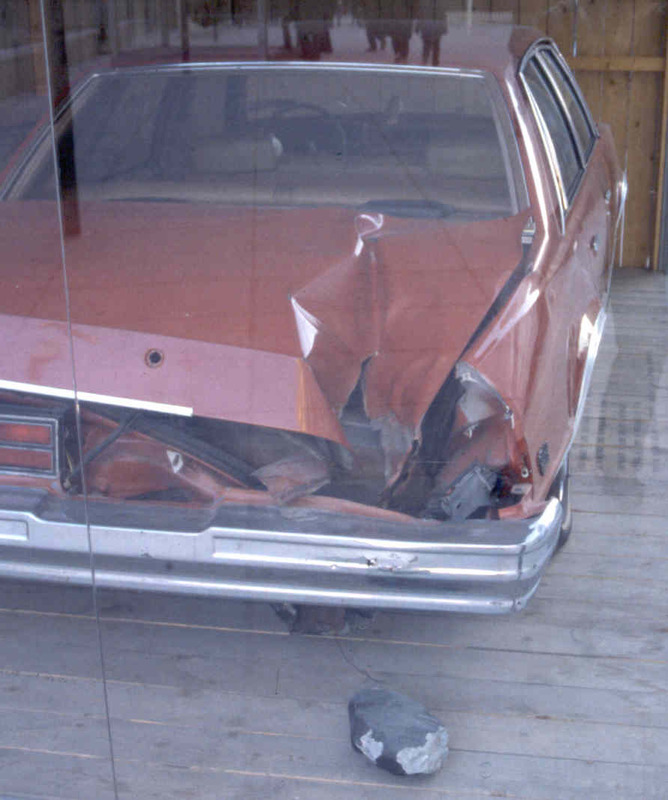 Explanation: The Peekskill meteor of 1992 was captured on 16 independent videos and then struck a car. Documented as brighter than the full Moon, the spectacular fireball crossed parts of several US states during its 40 seconds of glory before landing in Peekskill, New York. The resulting meteorite, pictured here, is composed of dense rock and has the size and mass of an extremely heavy bowling ball. If you are lucky enough to find a meteorite just after impact, do not pick it up -- parts of it are likely to be either very hot or very cold. In this weekend's Leonid meteor shower, few meteors, if any, are expected to hit the ground.